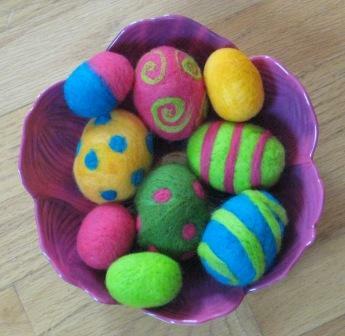 I have used some of my dyed wool to cover Styrofoam eggs for Easter. I have used my needle felting tool by Clover to get the wool to felt onto the Styrofoam. I will be doing Christmas felted balls in the fall. Last week I took the eggs to my Rug Hooking group and they asked me to teach the Christmas balls in October. 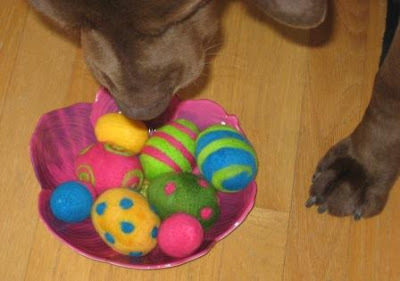 The Bird Dog liked the eggs and wanted to have the eggs.